Last century, wolves were nearly hunted to extinction in the US, in large part due to their 'dangerous' reputation. 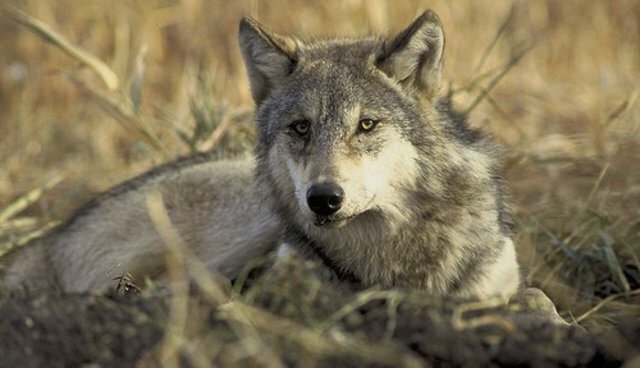 But now that the species has begun to rebound, some state lawmakers are already pushing for the ban on killing wolves to be lifted -- and in some cases, by 'crying wolf'. To articulate the dangers of a resurgent wolf population in Michigan, state senator Tom Casperson offered this story in a resolution to restore the hunt: "Wolves appeared multiple times in the backyard of a daycare center shortly after the children were allowed outside to play. Federal agents disposed of three wolves in that backyard because of the potential danger to children." The fiction was based on Holm's experience. But there were no children in the backyard that day. There was a single wolf, not three. Three wolves eventually were shot -- seven months later, on three separate days, on a plot roughly three-quarters of a mile from Holms' property. Sen. Casperson has since apologized, though he continues to back the hunt.